ASRock J3455-ITX running stable Gentoo Gnome and Kernel 4.19.5. 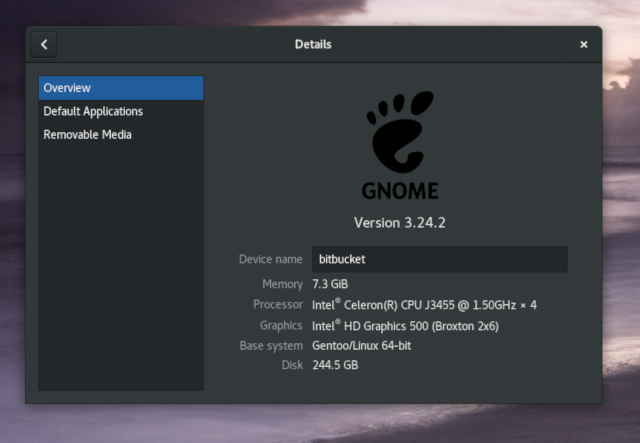 This entry was posted in Gentoo, Gnome and tagged gentoo, gnome, J3455, J3455-itx on December 2, 2018 by mgreene. 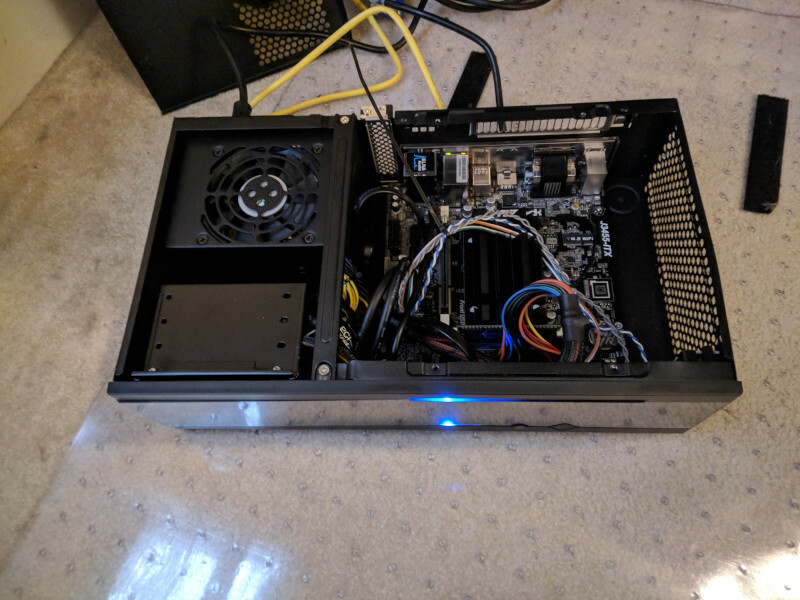 Part because of a mistake and part for fun, I purchased an ASRock J3455-ITX. I tried to boot a couple different OSs without much luck, I could not get CoreOS to boot or even a Gentoo LiveCD. Granted, it is low power and slow, so it might have been my impatience. Finally, I tried a Gentoo minimal install DVD and it booted, so in the spirit of making something easy much harder this would be yet another Gentoo build. BIOS Version J3455-ITX, BIOS P1.60 01/16/2018 – Out of the box BIOS version. Here is the catch, on the ASRock site it lists 1.40 then jumps to 1.70 as a bridge before installing 1.80. I tried the 1.70 from a fat32 USB and the board would not recognize the firmware. So screw it, I just went to 1.80 and it worked. I have to assume the 1.60 is already a bridge to 1.80. This is a real BS point. ASRock and a number of other board manufacturers advertise 16 Gig of RAM usable. I read all over the internet this thing can run with 16 Gig. I gave it a try and everything SEEMED to work. In ASRock’s Memory Support List, only DDR3 Crucial 1600 16GB CT204864BF160B is listed for this configuration. So, in conclusion it might run with 16 Gig, but not always. I do not care, I really only need 8Gig and can return the other RAM to Amazon, saving some money. I wrote a trivial EFI program to dump the machine check banks and put it on a USB stick a \EFI\BOOT\BOOTX64.EFI, then booted that USB stick. The machine check was already logged at this point. So Linux (and grub boot loader) aren’t involved. Tracking with someone who supports BIOS on this platform now. So, this is some kind of issue with the BIOS and during boot it picks up on the already existing error. Intel NUC Kits also had this problem, but fixed it in the BIOS. It seems to be a problem that probably will not go away, but does not cause issues. This entry was posted in Gentoo, kernel, Linux and tagged asrock J3455, gentoo, J3455, J3455-itx on November 29, 2018 by mgreene.